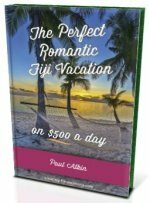 Want to know more about one of Fiji's natural wonders? 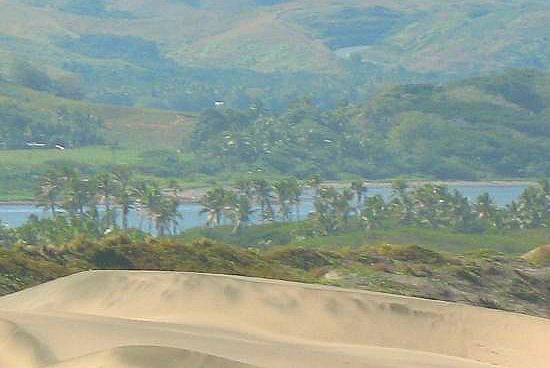 Discover Sigatoka Sand Dunes here with all the information you need to know about this must-do sight. 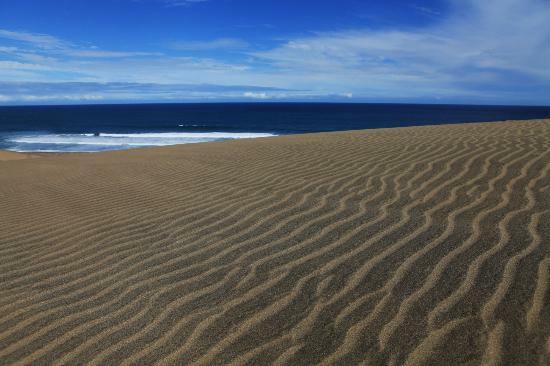 These Sand Dunes was declared Fiji's first national park in 1989. It's located on Viti Levu's southern coast at the mouth of the Sigatoka River, 4km from the town of Sigatoka. It's Fiji's only sand dunes. The rugged 650-hectare area has wind blown sand dunes 5km long, up to 1km wide, around 20m high with the highest point at 60 metres. Forming for millions of years, to stop the progession, mahogany trees were planted to preserve the main road. Due to the changing nature of the landscape due to wind and surf, it has unearthed skeletons and pottery thousand's of years old. Becareful about picking up a bone if you see one, it might bring you bad luck! The entrance is on Queens Rd, around 4½ kilometres south-west of the town Sigatoka. You need to go to the visitor's centre to be able to enter the national park. You purchase your entry tickets here. The visitor's centre contains the history and some pottery discovered in the national park. Cold drinks including water is available for purchase. It can get very hot so water is essential, good shoes, hat, sunscreen, and camera. Covered shoes would be best as the sand can get quite hot. It can get brutally hot, so early morning and late afternoon are the best times to go. Water is a must. This coupled with the strenuous nature of the sand dunes, kids are not recommended. There are no places for prams to go, so you will have to carry the kids up the dunes. If you are professional athletes, then you will be fine! Also the elderly, unless in very good shape, will probably struggle and should think twice. You can wait at the visitor's centre if you are with a group. Unfit people might struggle, especially in the heat of the day.